A formidable challenge to the study of Roma (Gypsy) music is the muddle of fact and fiction in determining identity. This book investigates "Gypsy music" as a marked and marketable exotic substance, and as a site of active cultural negotiation and appropriation between the real Roma and the idealized Gypsies of the Western imagination. David Malvinni studies specific composers-including Liszt, Brahms, Rachmaninov, Janacek, and Bartók-whose work takes up contested and varied configurations of Gypsy music. 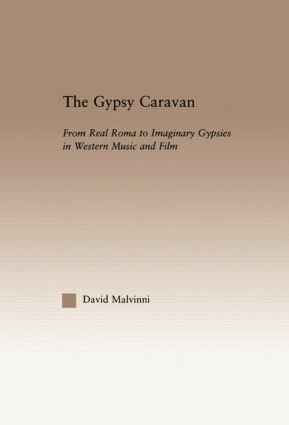 The music of these composers is considered alongside contemporary debates over popular music and film, as Malvinni argues that Gypsiness remains impervious to empirical revelations about the "real" Roma.